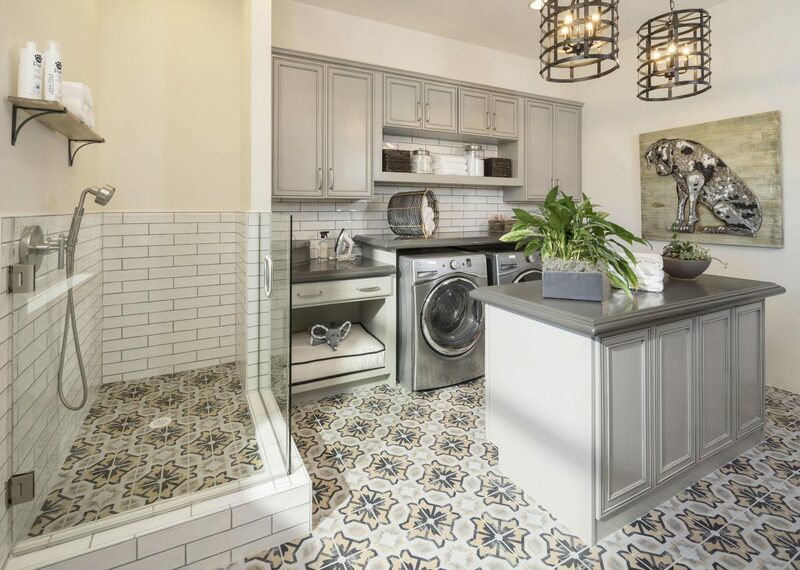 Unless you enjoy washing and folding clothes, the laundry room probably isn’t your favorite place to spend time. If your space is unorganized and uninviting, this chore can feel even less attractive. 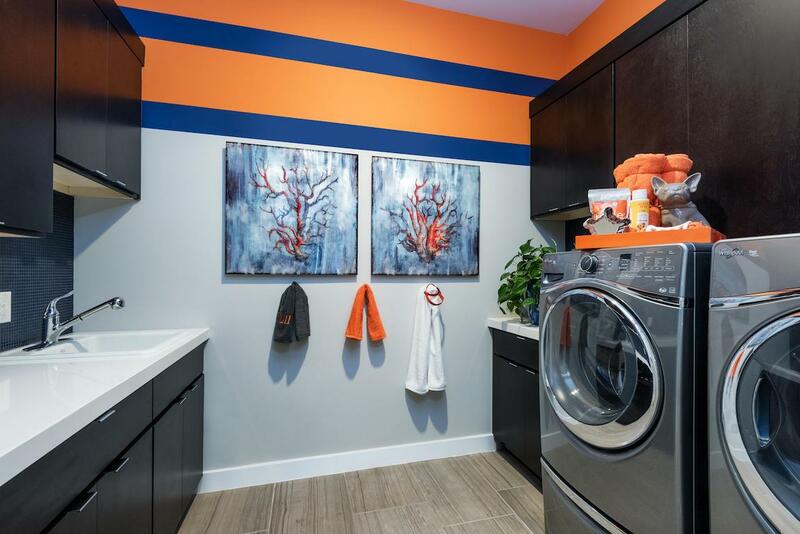 Although there is no magic wand that eliminates dirty clothes, there are some creative ways to make the laundry room as inviting as the rest of your house. 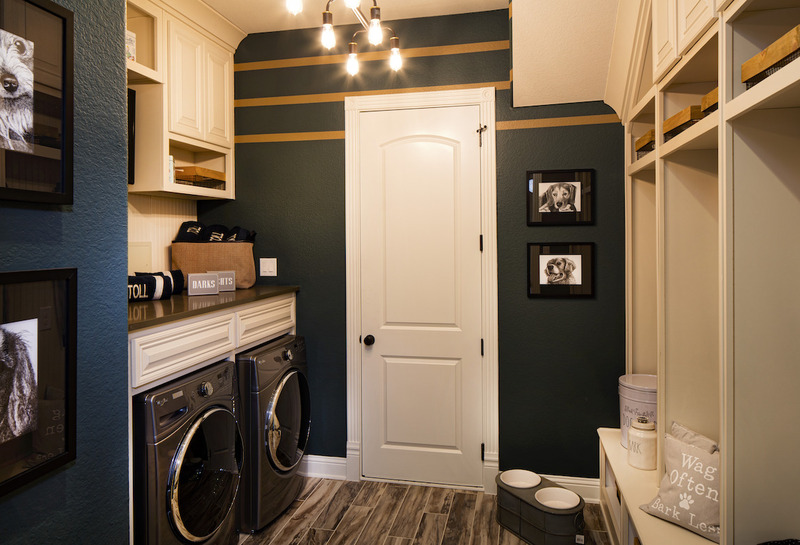 Paint color is the first step in creating a beautiful laundry room. In order to pick the right color, you need to decide if you want to continue the flow of color from the rest of your home or give this space its own personality. Consider soft neutrals like Sea Salt SW6204 and Ellie Gray SW 7650 for a more serene space, or Sherwin Williams’ 2018 Color of the Year, Oceanside SW 6496, for a bolder option to make your space pop. Test out any color you want with the ColorSnap Studio for iPad. Just download this handy Sherwin Williams tool, take a picture of your room, and then define an area to paint. 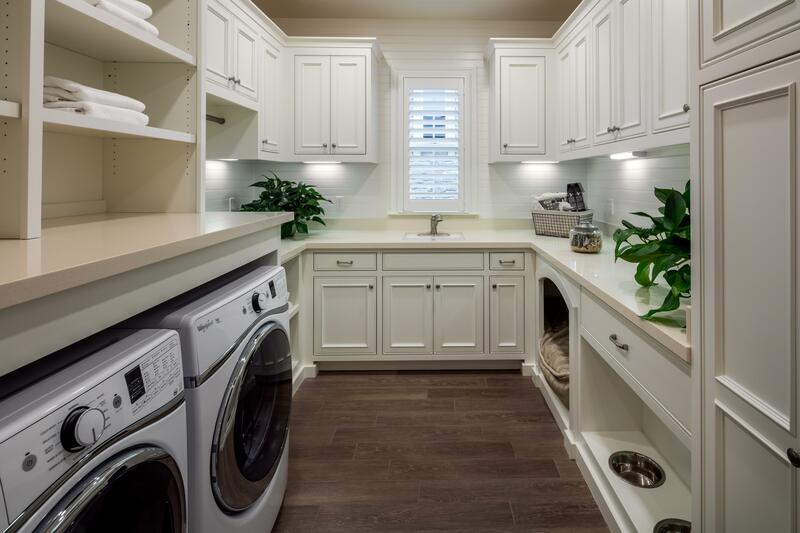 Since laundry rooms tend to be one of the smallest areas of the home, organization is key. If space is extra tight, Whirlpool’s Smart All-in-One Care washer and dryer are just what you need. This transfer-free, compact unit not only frees up space but also frees up time. Add a tall shelving unit with bins labeled for each family member or by garment color to keep laundry organized. Hang an ironing board on a wall or on the back of the door. Mount recessed shelves into a wall to hold laundry supplies. Use the back of your door to hang over-the-door shelves for storing cleaning supplies. Accessories are a wonderful way to personalize your space. One of our favorite touches is an area rug. From geometric, floral, or southwestern to stripes and abstracts, Mohawk Home is sure to have the perfect rug to complete your look. To complete your laundry “look,” find some fun, laundry-themed décor to adorn the walls, fill apothecary jars with detergent and other small necessities, and use stylish canvas and wicker baskets for holding bigger items. 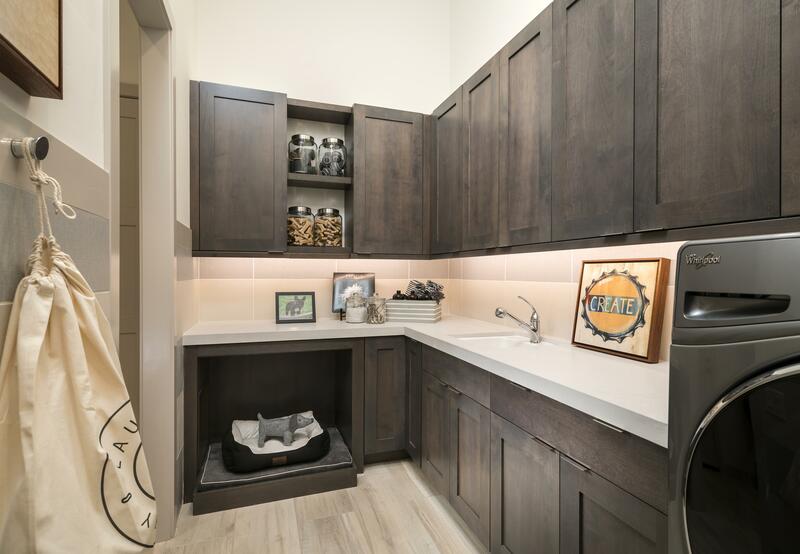 Having a beautiful, well-organized laundry room makes a big difference in the way it makes you feel. By following the above suggestions, your laundry may even become – dare we say – enjoyable!